The french seem to always be in style, offering that je ne sais quoi day in and day out. The last stop on the fashion week global rotation, Paris is romantic in their offerings. An unexpected collar peeking through, a cropped turtleneck and shoes galore. We’ve found 5 outfits you can emulate in true French style for a reasonable price. No Vetements in sight. Julia Restoin Roitfield kills it again with this perfectly lady like look. Sure, you may not have the Chloe bag or the Chanel shoes but you can look just as polished. Christine Centenera, Australia’s biggest fashion export and source of major wardrobe envy. She styles Kim K, the Yeezy shows and oh yeah Vogue. Nailing cool girl every single time. Ah the simple things. Weathered denim, a black knit and a soft fluffy purse. It’s almost too effortless, then you see the purposeful fashion girl hair tuck as mastered by Olivia Palermo. Understated but never effortless. 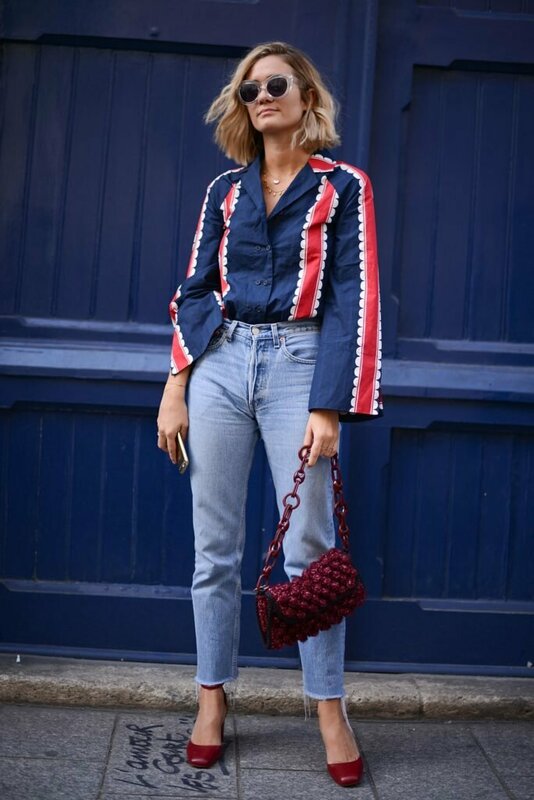 If you’re really going to channel that Parisian flair why not do it in the colours du jour. Wrap yourself in red,white and blue. The top is an exact match for under $100 and I know most of you already own these jeans so this outfit is even easier to achieve. Win. Being on the other side of the world means that little thing called seasons turn in opposition to the fashion capitals. While we’re sweltering outside they’re chilling by the the fire. For fashion week that means we don’t often get a lot of current styles, enter this off the shoulder maxi. A spring staple to show off your décolletage in fine form. The street style dress retails for $1,057, but as inspiration it’s ace. 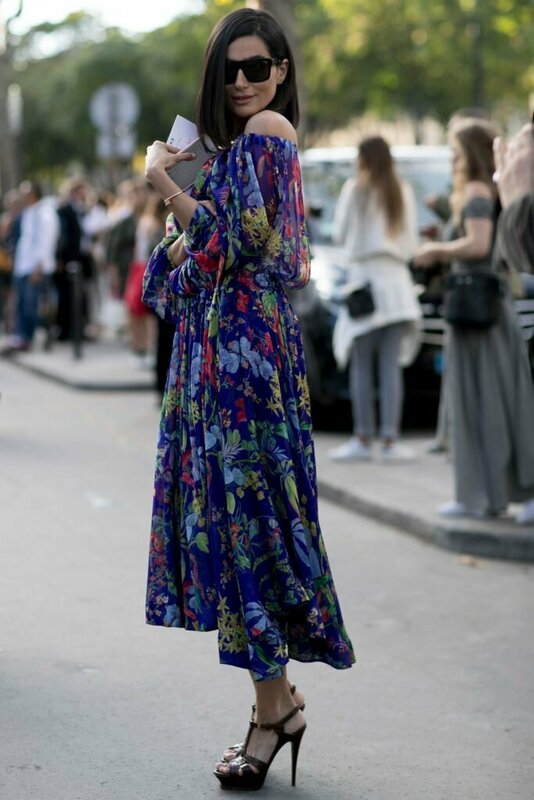 Image source: The Fashion Medley, Trendspotter, Who What Wear, Vogue Paris.